the school has 1,300 students. 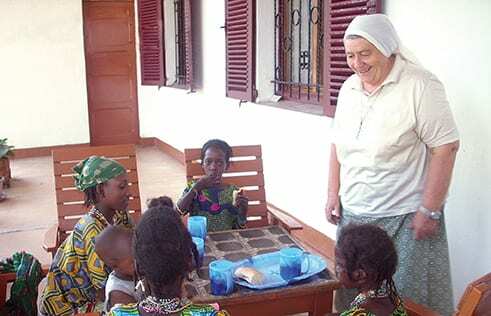 Despite the area having been nearly torn to shreds by conflicts, Sister Maria Elena Berini decided to remain in Central Africa at risk of her own life. The United States has taken notice of her courage and awarded her recognition as a “ woman of courage”. “One of them turned around and he told me: ‘I am going to kill you. ‘” I responded: “Go ahead, kill me, I’m here, I’m not afraid”. He stared at me with a devilish look, slammed the door and left.” Sr. Maria Elena Berini tells it without any emphasis, with a disarming simplicity that leaves no doubt about her veracity: on the exchange of glances, on those words of death, on her firm reaction, none of it. Sr. Elena certainly does not look like a hero, but she has that solidity and that authenticity which indicates fidelity and generates trust. Who knows if even Melania Trump had even perceived the limitlessness of Sr. Elena’s bravery when she gave her the prestigious recognition of “Woman of Courage” (International Women of Courage Award) last March in Washington. Sr. Elena received the recognition along with other women who fight all over the world for civil rights, justice, dignity, and the promotion of peace. This is just what Sr. Elena does in her imperturbable genuineness: “In Washington, I said simply to stop producing and selling weapons. We put the instruments of death in the hands of young people instead of giving them opportunities for the future. To talk about peace we must not export arms, but education, culture and justice “. Originally from Sondrio, Italy, a religious of the Congregation of the Sisters of St. Jeanne Antide Thouret, Sr. Elena has been a missionary for many of her 73 years. 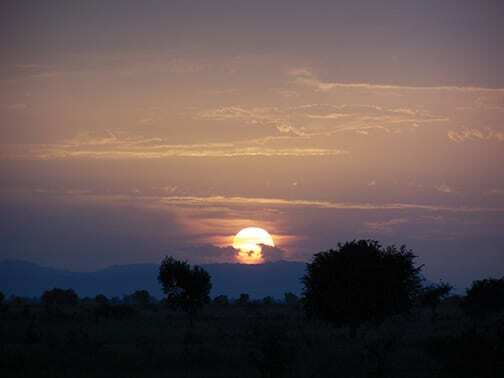 She spent 35 years as a missionary in Chad and for the past 11 years she has been living in the Central African Republic, a place where, she says, “in the last years we have not known peace”. Bocaranga, the town where she lives, has 15,000 inhabitants and is located on the northwestern border with Cameroon and Chad. Bocaranga has repeatedly been the target of various rebels. Her house, like that of the Capuchins and most other houses, has been attacked and robbed several times, but it has also become a haven for thousands of displaced people. She has always remained there, with her five sisters of four nationalities (Italy, Cameroon, Chad and Central Africa), to testify that a form of non-violent resistance is always possible; and that hope has will remain. It was not easy. The repeated attacks on Bocaranga are parts in a series of war, crisis and chaos that have crossed Central Africa since 2013. Not even the capital of Bangui seems so safe: new violence broke out last April in the PK5 district, one with a Muslim majority. It was here, on May 1, that the church of Our Lady of Fatima was attacked once again, this time Fr. Albert Tougoumalet was killed along with 24 of his flock. This neighborhood, one visited by Pope Francis, has become the symbolic place of clashes between various interests that, over time, have also assumed a dangerous religious connotation. A microcosm of what happens even more dramatically in the rest of the country, where no one today seems capable of controlling the territory: neither the government, nor the police, nor the UN forces. The school that the women religious run focuses on educating girls first, as they are the first to be neglected and excluded from the school system in the country. The nomads had, in turn, approached the city to take possession of the surrounding lands that offer excellent pastures. 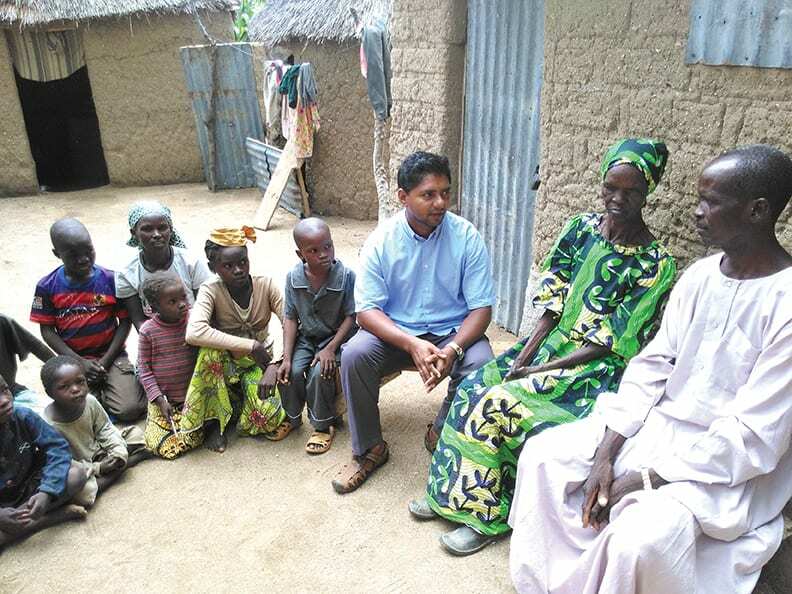 To complicate matters and to make the path of reconciliation even more difficult: the herdsmen are Muslim while the anti-Balaka militias call themselves Christian, overlaying an ethnic-religious element to a conflict that essentially concerns access to the land and to the water. Overall, it deals with the great wealth of one of the poorest countries in the world. This time, however, it was the government that took the initiative and gave the rebels a three-day ultimatum. The UN forces were ready to intervene. “The commander came to tell us that we had to leave the mission. All the people ran away and poured into the UN base where there were at least 2,000 people. We also walked the five miles that separate us from the base. They made us sleep out on the ground in a rickety tent.” Sr. Elena recalls. 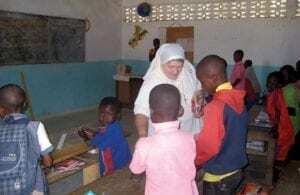 Sr. Elena rewards a class with candy in the village of Bocaranga in the Central African Republic. It’s what they’ve always done too. The women religious run a large school with 1,300 students. They started with elementary school, over a decade later saw the addition of a middle school and then a high school. “We try to give priority to girls, even if the school is mixed,” says the nun, “because obviously they are the first to be excluded from the school system. This is why we have also created a small internship that welcomes 26 girls who come from the most distant villages “. Many others are housed with relatives who are in town, but the continuous instability has made it difficult for everyone to be guaranteed regular schooling in recent years. However, the nuns did not give up; they even continued to follow in the method of the many schools scattered around the savannah: to guarantee, above all, a minimum of training for their teachers. The Capuchins, in addition to pastoral care, created a large carpentry shop and a catechetical center, which has been closed for four years and has become a place of refuge for displaced persons. Also, it is for this reason that the Church is trying to carry on a tiring journey of pacification. But it’s not easy, it takes time. Cardinal Dieudonné Nzapalainga, together with Imam Kobine Layama and the Protestant pastor Philippe Sing-Na, created an “Interfaith platform” to promote dialogue and reconciliation. It is an important sign that shows how religions can work primarily for good and must not set people against each other.